A UK veterans group has slammed an armed forces resource meant for use in schools in the wake of a critical report jointly published by the Quakers and the anti-militarist NGO Forces Watch. 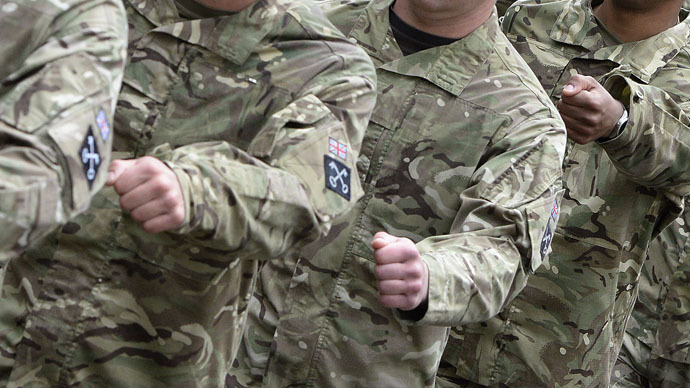 The 58-page Armed Forces Learning Resource 2014 was branded a “poor quality learning resource” by the report's authors, speaking to the Independent. They were particularly critical of a foreword by Prime Minister David Cameron and comments by Defence Secretary Michael Fallon. Reacting to the critical report, Forces Watch told RT: “If this was a warts-and-all look at the armed forces, it would not be a problem. Instead it is a glossy promotional brochure that glorifies ‘military values’ and sanitizes war and has no place in education. The “Critical Response to ‘The Armed Forces Learning Resource 2014’” paper also argues that, while meant for schools, no teachers were involved in its creation. “Culturally, this is the kind of resource one gets in countries with less-than-democratic structures where civic education is used by governments to manipulate citizens into an uncritical attitude towards the state,” a contributor said. The tone of both politicians’ comments have also been challenged by UK military veterans.